Mining, Chief Executive Daniel Ozon confirmed on Wednesday. In July 2015, Prairie Mining Limited announced that it had secured the Exclusive Right to apply for a Mining Concession for the Jan Karski Mine as a result of its Geological Documentation for the Jan Karski deposit being approved by Poland’s Ministry of Environment (“MoE”). The approved Geological Documentation covers areas of all four original Exploration Concessions granted to Prairie (K-4-5, K-6-7, K-8 and K-9) and includes the full extent of the targeted resources within the mine plan for Jan Karski. As a result of the Exclusive Right, Prairie is the only entity with a legal right to lodge a Mining Concession application over Jan Karski for the period up and until 2 April 2018. Under the Polish Geological and Mining Law, a Mining Concession application comprises the submission of a Deposit Development Plan (“DDP”), approval of a spatial development plan (rezoning of land for mining use) and an Environmental Consent decision. Prairie has previously announced that the DDP and spatial development plans for Jan Karski have already been approved. However, as of the date of this announcement, Prairie has not yet received the required Environmental Consent decision, which remains pending. Prairie completed an Environmental and Social Impact Assessment and made submissions to the relevant administrative body for an Environmental Consent decision in October 2017 in accordance with all requirements. Accordingly, Prairie has not been able to apply for a Mining Concession for Jan Karski due to the delay in the issuance of an Environmental Consent decision. The Environmental Consent proceedings continue to progress. The approval of Prairie’s Geological Documentation in 2015 also conferred upon Prairie the legal right to apply for a Mining Usufruct Agreement over Jan Karski for an additional 12 month period beyond April 2018, which precludes any other parties being granted any licence over all or part of the Jan Karski concessions. Under Polish law, the MoE is strictly obligated, within three months of Prairie making an application for a Mining Usufruct Agreement, to grant the agreement. Prairie applied to the MoE for a Mining Usufruct Agreement over Jan Karski in late December 2017. As of the date of this announcement the MoE has not made available to Prairie a Mining Usufruct Agreement for Jan Karski, therefore breaching the three month obligatory period for the agreement to be concluded. Legal advice provided to Prairie concludes that failure of the MoE to grant Prairie the Mining Usufruct Agreement is a breach of Polish law. Accordingly, the Company has now commenced legal proceedings against the MoE through the Polish courts in order to protect the Company’s security of tenure over the Jan Karski concessions. Since the MoE has not provided a decision within three months regarding Prairie’s Mining Usufruct application, the Polish civil court has the power to enforce conclusion of a Mining Usufruct Agreement in place of the MoE. In the event that a Mining Usufruct Agreement is not made available to the Company on acceptable terms or the Company does not enter into a Mining Usufruct Agreement for any other reason, other parties may be able to apply for a Mining Concession for all or part of the Jan Karski concession area. However, the legal proceedings presently initiated by Prairie through the Polish civil court are also intended to prevent the MoE from granting a concession to any other party until the full court proceedings are concluded. The Company will consider any other actions necessary to ensure its concession rights are reserved which may result in the Company taking further action against the MoE including invoking the protection afforded to the Company under any relevant bi-lateral or multi-lateral investment treaties or such other actions as the Company may consider appropriate at the relevant time. Poland is multi-party representative democracy and has been a member of the European Union since 2004. 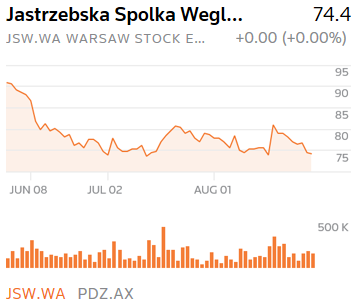 Prairie Mining has been listed on the Warsaw Stock Exchange since September 2015 and enjoys a strong and increasing Polish shareholder base. Prairie benefits from strong support of local communities and regional governments, and our activities are in line with Polish national government policy that considers coal at the core of Poland’s raw material security, seeks to renew Polish industry and enhance economic development in Eastern Poland, where the Jan Karski Mine is located. Australia also holds the status of “Most Favoured Nation” with Poland and the countries signed a Promotion and Protection of Investment Agreement in 1991 (a Bilateral Investment Treaty) which provides reciprocal protections for investments made by residents and entities of both countries, including licences for exploration and mining of natural resources. Prairie reserves the right to make future claims against the Polish state under the Promotion and Protection of Investment Agreement. The Debiensko Mine (“Debiensko”) is a hard coking coal project located in the Upper Silesian Coal Basin in the south west of the Republic of Poland. It is approximately 40 km from the city of Katowice and 40 km from the Czech Republic. The Debiensko mine was originally opened in 1898 and was operated by various Polish mining companies until 2000 when mining operations were terminated due to a major government led restructuring of the coal sector caused by a downturn in global coal prices. In early 2006 New World Resources Plc (“NWR”) acquired Debiensko and commenced planning for Debiensko to comply with Polish mining standards, with the aim of accessing and mining hard coking coal seams. Prairie’s use of modern exploration techniques continues to transform Jan Karski with latest drill results re-affriming the capability of the the project to produce high value ultra-low ash semi-soft coking coal, known as Type 34 coal in Poland. The coking coal quality results are superior to the drill results announced in May 2017, and further confirm that Jan Karski is a globally significant semi-soft coking coal (“SSCC”) / Type 34 coking coal deposit with the potential to produce a high value ultra-low ash SSCC with a coking coal product split of up to 75%. IG TV’s Jeremy Naylor is joined by Ben Stoikovich, Prairie Mining #PDZ, to discuss its production of coking coal in Poland. It says that it has the economic dynamic that will enable it to undercut almost all other coking coal suppliers. Prairie Mining recently published an update describing the coking coal macro in Europe and Poland. The release focused on the European Commission’s 2017 critical materials list, the global lack of new coking coal projects, and the Polish government’s support for new modern coal mines. We also note how the new Polish Prime Minister is pushing the Polish-Chinese business agenda, which will benefit Prairie Mining. Mateusz Morawiecki recently became Prime Minister and he strongly supports Chinese investment into Poland. Amongst other things, he has recently said “to encourage Chinese companies to invest more capital in our country” and “Poland wants to actively participate in the One Belt, One Road project”. This agenda fits perfectly with Prairie’s strategy of having China Coal construct Jan Karski using low-cost Chinese debt. And we believe support from the new Polish Prime Minister will ensure Jan Karski reaches the point of being fully permitted and funded. As with all major industrial projects, top level government support is essential. 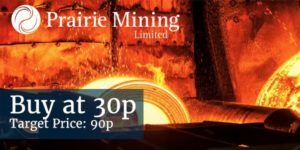 Prairie Mining shares have underperformed our expectations in 2H17 (the shares increased 50% in 1H17). The lack of buying could be due to negative general media surrounding coal. However, Prairie is a coking coal not thermal coal company and has strong political and European macro support . We anticipate 2018 being a good year for Prairie shares and reiterate our BUY recommendation and 90p price target. Prairie Mining Limited notes market fundamentals continue to improve for Prairie’s two large-scale Tier One coking coal projects as the European Commission reaffirms coking coal as a “Critical Raw Material” for Europe. Prairie remains ideally positioned to supply coking coal to meet Europe’s steel demand in the future. The European Commission has confirmed coking coal’s status as a Critical Raw Material in its 2017 list, which features 27 raw materials and updates the 2014 list. The primary purpose of the list is to identify the raw materials with a high supply-risk and a high economic importance to which reliable and unhindered access is a concern for European industry and value chains. drawing attention to the importance of critical raw materials for the transition to a low-carbon, resource-efficient and more circular economy. Importantly for both of Prairie’s projects, it is expected that the list will incentivise the European production of critical raw materials through facilitating the launching of new mining activities. European steel makers – including the newly-formed ThyssenKrupp Tata Steel Joint Venture – are now looking ahead to supply a changing automobile industry with the introduction of electric vehicles and concurrently supply numerous major European infrastructure programs. Increasing demand for ultra-low emission vehicles is expected to drive growth in steel supply to the European automobile industry. Almost 0.5 tonnes of coking coal are required to produce the structural, electrical and plated steel for each electric car. Specifically, steel is an important component of the electric vehicle structure and will be in the powertrain, enhancing the electric motor’s efficiency, range and power. Further, lithium-ion batteries commonly used in electric vehicles will require steel while infrastructure including the production of machinery, charging units and “refuelling hubs” for electric vehicles will also require steel. According to BHP Billiton, China’s Belt and Road Initiative to advance globalisation and trading – which includes several European countries including Poland – could result in up to 150 million tonnes of incremental steel demand. UK infrastructure projects including the High Speed 2 Rail Line and the construction of the Hinkley Point C Nuclear Power Station are expected to use over 3 million tonnes of steel – equivalent to 375 London Olympic Stadiums. Hard coking coal prices have returned to levels above US$200/t FOB Australia mainly attributable to proactive buying in the seaborne market by steel producers concerned about future potential supply disruptions from Australia due to weather. Longer term, market analysts have suggested recent and sustained underinvestment in new mine development has the potential to result in a lack of new supply in coming years which may sustain higher coking coal prices even in a lower demand scenario. According to industry analysts there is an expected decrease in supply of 0.5% per annum until 2020. “Both domestic and European demand for coking coal is also expected to increase. However, the supply of this raw material is low – 85% of coking coal used in the EU in 2016 was imported. Therefore, Polish authorities are interested in promoting both the material and domestic steel industry, in order to secure a bigger share of European market to Poland – especially in Central Europe. Importantly, the report concluded that private mining businesses such as Prairie would indeed complement, rather than compete, with state-controlled mining companies. “One of the most important cost components, decisive for the economic standing of the steel sector, is the price of coking coal, and resulting prices of coke. 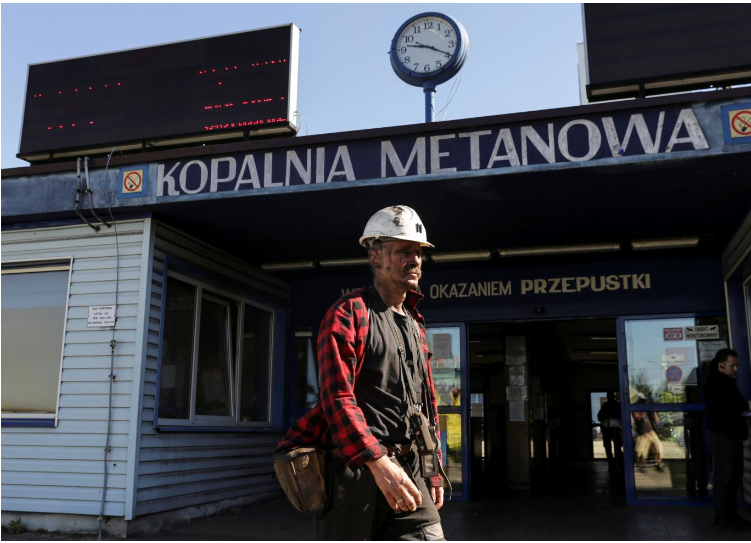 It is worth remembering that undisturbed and attractively priced supplies of such materials from Polish mining and coking plants shall continue to be the base for development and competitive advantage of Polish steel industry and operation of directly and indirectly connected sectors. Polish coking coal is attractive to the steel sector due to its price, resulting from high quality and geographic rent. In the event of insufficient supply of domestic coal, necessary imports (from countries like Australia and the USA) could have significant impact on both prices and flexibility of production in the sector2“. Prairie will pioneer the introduction of international best practice in mine design, production organisation and technology to deliver substantial operational and product quality improvements in the development of its Jan Karski Semi-Soft Coking Coal Mine in the Lublin Basin and its Debiensko Hard Coking Coal Mine in Upper Silesia. 1 The Mineral and Energy Economy Research Institute of the Polish Academy of Sciences: “Raw material security in the context of limited domestic capacity of hard coal production – key issues”, 2017. 2 Commercial and Industrial Chamber of Metallurgic Sector: “POLISH STEEL SECTOR”; 2017.